Lost in the Ypres Salient on the 2nd May 1915. He is commemorated on panel 12 of the magnificent ‘Menin Gate Memorial’ in Ypres Belgium. The soldiers used to call the town Wipers, but will be found as ‘Leper’ on today’s maps. 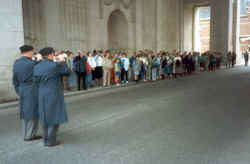 Menin Gate is a huge arched memorial spanning the start of the road to Menin. Designed by Sir Reginald Bloomfield R.A. it stands as a memorial to the 56,000 British Troops who fell in the Ypres Salient prior to August 16th 1917 but have no known graves. 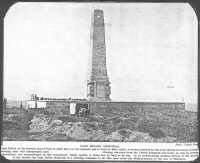 Field Marshall Lord Plummer unveiled it in 1927. Every evening at 8pm traffic is stopped and the local Fire Brigade perform a moving ceremony in honour of those who died. It is usually attended by hundreds of visitors. The fourth son of Mr. Peter Rawsthorne of Elm Place Ormskirk. He was killed in action near Ypres, in Belgium on Sunday the 9th of May at the age of twenty. Thomas had been in the Territorials for four years previously and was one of four of Mr. Rawsthorne’s sons to serve in the Great War. Elm Place, although on the outskirts of Ormskirk is part of the ecclesiastical parish of Bickerstaffe. 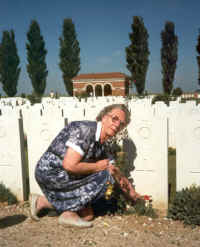 Commemoration can be found at the Le Touret Memorial in France panel 6,7, and 8. This is on the D171 between Neuve Chapelle and Bethune. Lived at the centre house of those known as ‘The Barracks’, Liverpool Road Bickerstaffe. Brother to John and Katie, he was educated at St Richards School, Skelmersdale. 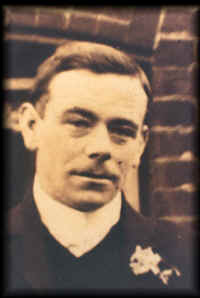 ‘Bert’ as he was more commonly known, was involved in the ill-fated action at the Dardanelles and was reported as missing on the 10th September 1915. His mother, who by this time had moved to 213, Hough Lane Wombwell, Near Barnsley, Yorkshire, appealed in the Ormskirk Advertiser of the 6th January 1916 for any information concerning him. A letter from his commanding officer stated that he was highly esteemed by all who knew him. Commemoration can be found on Panels 139 and 140 of the Cape Helles Memorial Gallipoli. This is just across the Dardanelles from Troy in Turkey. Volunteered and was drafted into the 13th, battalion of the Kings’ Liverpool Regiment. He was the third son of James and Nancy Prescott of Smithy Lane, Aughton husband to Mary Alice Prescott and the father of three children. Germany fought fiercely, but unsuccessfully throughout the war to ‘take’ Ypres, in order to cut the allied supply line from the English Channel to the Western Front. Thomas, who was a transport driver, lost his life in one of these early battles, actually on the 20th of December 1915 aged 32 years. He is buried in plot 1, row D, grave 21, of Poperinghe New Military Cemetery, Belgium, 9km west of Ypres. 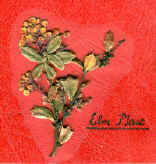 The son of John and Margaret Rawsthorne of Elm Place was the younger brother to Thomas and John. Jimmy volunteered but was turned down because of a neck deformity then known as ‘Torticollis’ making his head lean to one side. Keen to be accepted he had this operated on and was then accepted and drafted into the 10th Battalion of The Kings Liverpool Regiment. Just days before embarking for France James married Isabelle Pickering from Skelmersdale. Jimmy went into battle in the Somme area. The action was designed to relieve the severe pressure that the French were under at Verdun. On Easter Sunday 1916 he was wounded and then transported to a hospital at Doullens. He died there two days later on the 27th April 1916 aged 37. Isabelle had given birth to their baby girl just four days earlier. She was to christen her Irene ‘Verdun’ Rawsthorne in his memory. 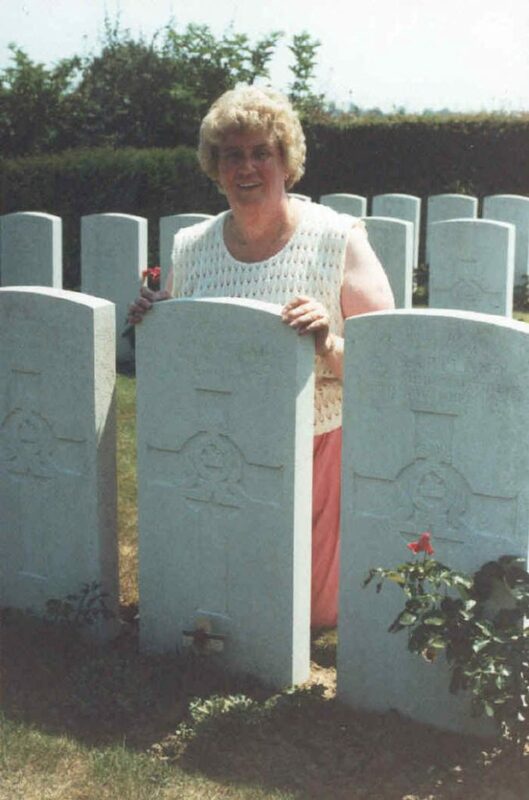 Private James Rawsthorne is buried in plot 1 row D, grave 14 of Doullens Communal Cemetery Extension, France. This lies to the South East corner of the town which is 35Km. South West of Arras. Historically the first of July 1916 was one of the most important days in the history of British warfare. It was the day that the great Somme offensive started. When the battle eventually subsided in the winter of 1916, the British Army had lost a total of 460,000 dead and wounded, for a relatively small territorial gain. It was on that fateful day when the battle was going badly, that Clifford was ordered to go up to the front line, only to lose his life ‘going over the top’. He was in the middle of shaving when the order came, so he gave his shaving gear to his friend Tom Rosbotham for safe keeping, but he was not to need it again. 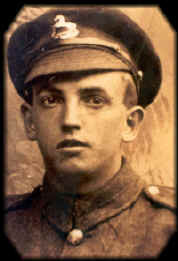 Clifford died on that day, the 1st July 1916, aged 21. 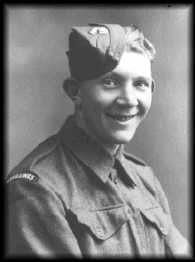 He was short of the German line when he was wounded by rifle fire, but before he could be rescued, was caught in a shrapnel bombardment. Internment is in Danzig Alley British Cemetery, Mametz, France. This can be found on the D64, three Km. East of Albert. 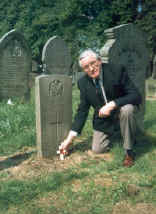 The photograph is of the compiler of this remembrance site, taken at his graveside on the 29th May 1989, during the visit that year. Son of Robert Dutton of Higher End, Bickerstaffe. He enlisted in Southport and joined his regiment in September 1914. His posting was to Greece where he was involved in the action at Salonica. At 7.30pm on 13th September 1916, James with his regiment made a raid into no mans land at the Dorsale, north of Muchukova and west of Doiran. The foray followed a three day bombardment on the German and Bulgarian positions. The next day, his and other regiments withdrew under severe enemy machine gun fire from a point known as “The Dome”, suffering 586 casualties, including James. He was 35 years old. Commemoration is on the Greek, Serbian border, 47 miles north of Thessaloniki. Joined the Loyal North Lancashire Regiment and was one of the first men to enlist from Bickerstaffe. He was the first son of Jane Sephton (formerly Pye) and the late William Pye. His father died when William was only two years old. This led to his auntie, who lived at Wash Farm, fostering him. He had two brothers Ernie and John. On the 17th June 1915, William and his battallion sailed from Avonmouth on board the S.S. Braemar Castle, via Malta, Alexandria and Mudros to Cape Heles at the foot of Gallipoli. Here they went straight into bivouac at Gully Ravine on the night of the 6th July 1916. The battalion of 31 officers and 946 other ranks took part in some bitter action before sailing on to Mesopotamia on board the ‘Corsican’. They arrived at Basra, (in present-day Iraq) on the 14th of February 1916 and then went overland to Sheik Saad on the banks of the Tigris River. After earlier set backs, his commander Sir Stanley Maude welded a new force together, (half a million strong) in the latter part of 1916. A successful assault was then made on Baghdad against the Turks, on March 11th 1917. This had involved a mass crossing of the River Tigris two days earlier. It was during this crossing at Diyala, eight miles south of Baghdad, that Private William Pye was killed on 9th March 1917 at the age of 21. Commemoration can be found on panel 27, of the Basra Memorial, Iraq. Sometime after his victory at Baghdad, an American reporter interviewed Sir Stanley Maude. During the interview coffee was served. Commander Maude took milk with his, the reporter declined. Shortly afterwards Sir Stanley, at the height of his career became ill and died. It was discovered that the milk was contaminated with cholera. He was buried in the military cemetery outside the North Gate at Baghdad in November 1917. Basra The only memorial to the Meaopotamian Campaign (‘Mespot’ to the soldiers), and one of the Commission’s largest, commemorating 7000 British and 33,000 Indian soldiers lost in the campaign against the Turks 1914-1918. Until the 1960s this memorial was in full view from the Shatt-al-Arab, the river formed by the confluence of the Rivera Tigris and Euphrates, but is now obscured by a wall-like memorial, erected by the Iraqis. The Commission has not yet, in the late l980s, been able to have the wall removed and in view of the current Iran-Iraq situation, no early resolution is in sight. Lived at Coal Pit Lane Farm, Coal pit Lane Bickerstaffe, Volunteered and joined the St Helens ‘Pals’ in the 11th Battalion of the South Lancashire Regiment. His Parents were James and Esther Heyes, for whom he worked and was the elder brother of Alfred. Whilst partaking in the Somme Offensive in July 1916. James had a lucky escape when a fragment of shrapnel hit him on his breast pocket. This contained a notebook, which was shattered, saving him from serious injury. A year later on the 26th of June 1917, James was on stretcher duties at the railway embankment east of Ypres, when he was caught in a heavy artillery bombardment. One of his friends wrote to his parents describing him as one of the finest men in the Battalion and was beloved by everybody. 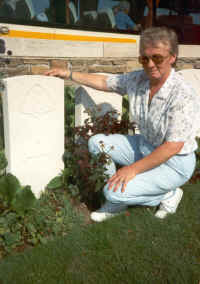 He is interred in plot 3 row G, grave 21, of Reninghelst New Military Cemetery, Belgium, having died at the age of 31. This can be found on the N34, just south of Poperinghe. Lance Corporal James Heyes was almost certainly on stretcher duties in the railway cutting on the infamous ‘Hill 60’. This lies South East of Ypres and is a preserved area in memory of the many battles which took place there during the great war. Well worth a visit, there is a private museum on the site. Son of Thomas Boyle of Elm Place, Ormskirk. He was employed by J.J. Balmforth at their Ormskirk foundry before leaving for France in March 1915. 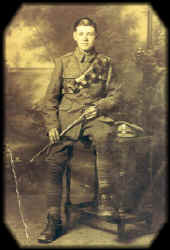 After twelve months active service Austin was invalided home, suffering from rheumatic fever and subsequently discharged. However he rejoined in April 1917 and left for the front, for a second time in June 1917. After only six weeks, on the 24th July 1917 Rifleman Boyle was hit with Fragments from an exploding shell killing him instantly. Austins captain sent Mr Boyle his sons effects, which included a note-book and a cigarette case which was damaged by the shell. Second Lieutenant R.R. Rathbone. 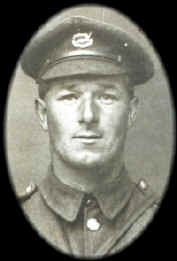 Another of the deceased officers also wrote saying that Austin was a splendid soldier and was killed whilst carrying material to the front line. He was buried by an English clergyman in what is now Vlamertinghe New Military Cemetery, Belgium, in plot V, row A, grave 7. This is east of Ypres on the south side of the N38. 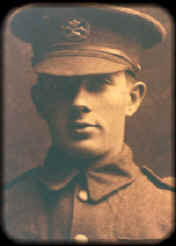 Private Austin Boyle was a single man aged 22. The cigarette case was among effects returned to the family for a second time in April 1945. Austin’s brother Robert, a railway worker, (who had changed shifts for a friend) was one of three fatalities in a train crash at Kirkby. He had carried Austin’s cigarette case since 1917. Son of Richard and Emma Pownall of Lords Row. He was employed at Bickerstaffe Colliery before joining the army. 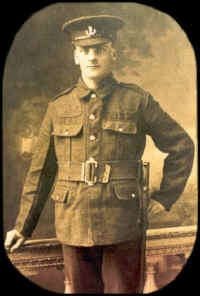 George volunteered soon after the outbreak of war and was soon to see much action on the Western Front. On the 6th August 1917 he was wounded whilst partaking in the dour defence of Ypres in Belgium. He died three days later at the age of 25. His cousin John who won the Military Medal was in hospital in France at this time. On the Bickerstaffe Memorial George is also credited with having won the M.M. 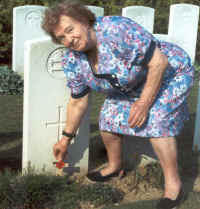 but the Commonwealth War Graves Commission can find no record of this. Interment is at Poperinghe New Military Cemetery, plot 2 row D. grave 39. This lies just inside the ring road, south of the town which is 9 Km. To the west of Ypres. William Henry was born in 1886, son of John and Ellen Birchall of Stanley Gate farm, Bickerstaffe. In those days Stanley Gate was run as a public house and also a farm. It was the farm half that his parents were in charge of and so this is where William was brought up and spent his early life. On the 5th February 1907, he married Martha Rosbotham who lived just down the road at Holly Farm (now the Sandpiper Restaurant). She was a schoolteacher at Bickerstaffe school, and was niece to Sir Thomas Rosbotham. They were to live first at Ottershead Farm, Westhead, where they bred shire horses. Later a move was made to a farm near Earlstown, Newton-Le-Willows, St.Helens. William first joined the Royal Army Service Corps, and spent the next three and a half years teaching officers to ride horses before they were sent overseas. As many of these officers had never ridden a horse before, they would give private Birchall a 10-shilling note, (50 pence) to find them a ‘quiet one’. In this period, he spent 6 months in charge of a war department farm in Southern England. In July 1917 he was sent to the Ypres area of Belgium, where he met up with his Uncle Bob Rosbotham and wrote a letter home saying that they had had a drink together. By 20th September 1917, William had joined the 19th Battalion, Kings (Liverpool Pals) Regiment. It was on that date which, elsewhere on the Salient, was the opening day of the offensive, later referred to as ‘The Battle of the Menin Road’. An attempt was made to try and capture two block-houses known as ‘The Twins’. A raiding party consisting of Captain C. Laird and twenty-five other ranks left the British front lines at 6am and moved into no-mans land. However they were soon spotted and machine guns opened fire from the blockhouses. Despite a most determined effort to carry out the objectives, Captain Laird and six other ranks were killed, including William Henry. He received serious leg injuries, but couldn’t immediately be brought back to safety. His body was never found. William Henry Birchall is commemorated on Tyne Cot Memorial, Belgium on panels 31/34. This is just off the N303, 8 Km. East of Ypres, near Passchendale, Belgium. 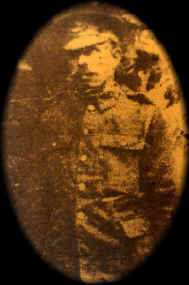 The second son of Peter Gibbons of Elm Place and worked in Aintree. 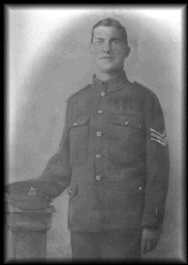 He joined up in mid 1915 and saw service in France where he was wounded and returned to a hospital in Kent to convalesce. On recovery he returned to serve in the ‘ Third Battle of Ypres’ but was killed on September 20th. 1917. A letter from his commanding officer said that Patrick was a fearless soldier and met his death gallantly in an attack on the German trenches. He is commemorated on panels 31 to 34 at Tyne Cot, Belgium, 8 Km. North East of Ypres, off the N303. Son of Peter and Susannah Eccleston, brother to George, Annie, Mary and Bella and lived at what is now number 20, Moss Lane, Barrow Nook , Bickerstaffe. 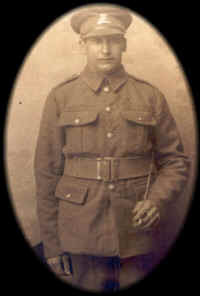 Peter died whilst serving in Ypres area on the 21st September 1917, aged 21. 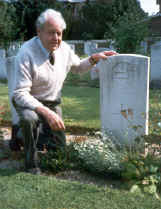 He is buried in Lijssethock Military Cemetery, Belgium, in Plot 25. Row K. Grave 5. Prior to moving to France, Peter and his company were billeted in Blackpool. The photo being taken in a fun photo booth on a day out with his friend Robert Taylor. 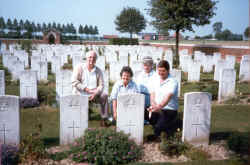 Lissenthoek Military Cemetery can be found on the left, soon after leaving Poperinghe, on the D948 road to Steenvoored. The cemetery is in the village of that name about two miles south-west of Poperinghe. The village lay close behind the extreme range of most enemy field artillery and was therefore a natural place for the establishment of casualty clearing stations, firstly by the French and later the British. The French opened the cemetery and the British began to use it in June 1915. Between that month and the Armistice, it became the second largest Commonwealth cemetery anywhere and is now the second largest in Belgium (Tyne Cot Cemetery is the largest). It contains nearly 10,000 Commonwealth burials of which 7,400 are British, over 1,000 Canadian, aver 1,000 Australian, nearly 300 New Zealand, and 30 South African; the French burials number almost 700. As this cemetery served hospitals, the great majority of the dead were identified. A married man and prior to volunteering for service, lived at Ormskirk. On the 22nd of September 1917 whilst in the trench which ran along Loos to Hullock road in France, Sergeant Gregory had just ordered his section “to keep their heads down”, Within the following minute, he himself cautiously looked over the enemy lines and was hit by a sniper. He is commemorated on panels 31/34 at Tyne Cot, Belgium, 8Km. North east of Ypres, off the N303. The son of Thomas and Margaret and Nephew of Pte. James Rawsthorne, all from Elm Place. He volunteered in November 1915, embarked for France in March 1916 and was attached to the Lewis Gun section of his regiment. After recovering from injuries on two previous occasions, he was seriously wounded on 20th September 1917 and died two days later whilst being conveyed to a field dressing station. At the time he was the fifth soldier to have been killed from Elm Place, a small Cul De Sac of only 22 houses. 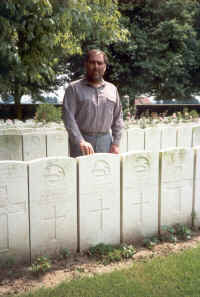 Coincidentally he is buried at Nine Elms British Cemetery, Popernghe, Belgium. Plot 1, row C, grave 6. This lies just off the R33 ring road west of the town, which is in turn, 10 Km. West of Ypres. 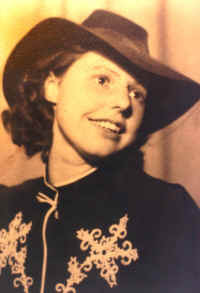 Born on 23rd July 1898, lived at Walkden Cottages, Sineacre Lane, Bickerstaffe and worked at Walkden Farm. Much to the consternation of his parents, he joined up on Whit Monday, May 1915 into a Pals brigade of the King’s Liverpool Regiment, at the age of sixteen! 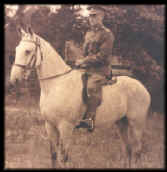 After his training at Prescot and Ripon, his departure for the Western Front was delayed until he was considered old enough and was then drafted into the formidable Royal West Kent Regiment as number 19763. John was lost during the Third Battle of Ypres, or what infamously became known as Passchendaele, on 22nd September 1917 aged 19. 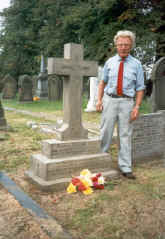 As seen from the photograph of the family grave at Bickerstaffe Church, this was ten years to the day after his younger brother William Edward. Commemoration is at Tyne Cot Memorial, Belgium, in the Southern Rotunda, 8km N.E. of Ypres off the N303. Mobilised at the outbreak of war with the local territorials. However he was only allowed to go to France at the age of 19. ‘Son of John Walsh, he was the sixth lad from that illustrious little corner of Ormskirk, Elm Place, to have given his all for King and Country’ (Quote from Ormskirk Advertiser, 13th December 1917). He was killed in action in the final stages of the Passchendaele Campaign on the 4th November 1917 aged 20. Before the war he was employed as a coach painter at Farr’s Garage Works, Chapel Street. His commemoration is at Tyne Cot Memorial, Belgium, which is off the N303 just west of Passchendaele Village. John’s brother Billy lost his life in June 1940 when the ‘Lancastria’ was blown up and sunk off St.Nazaire in the Bay of Biscay. Lived and worked for his parents at Slack House Farm, (opposite Edge Hill Training College). He volunteered and was drafted into the 9th Battalion The Loyal North Lancashire Regiment (foot). At 4-30am on 10th April 1918, the regiment pressed forward through the village of Croix du Bac and established themselves on the north bank of the River Lys. This was at the very start of the big German Spring Offensive of 1918. 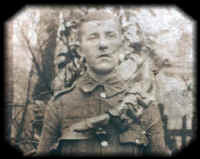 At 7am the Battalion was forced to withdraw under heavy machine-gun fire, suffering heavy casualties, including James. He received a bullet wound in the leg and so could not retreat with the others. On the 25th July 1918 James’ friend, Bob Pennington wrote to Mrs Draper telling her what had happened to James. In it he told her not to loose hope, as by now he had probably been taken as a prisoner of war. However this turned out not to be so. Private James Draper was buried in Croix du Bac Cemetery, probably by the Germans and is commemorated on his own special memorial No. G.17. Croix du Bac, Steenwerck, France is on the D10 just west of Armentiers. Son of Richard and Ellen Elizabeth Kirby of Lodge Farm Cottage, where his Father was Bailiff to the Rimmer Family. James had an older brother John and sister Nellie who married Sam Pye. On leaving school he worked as a joiner for Pilkingtons of Mill Lane, Rainford for four shillings (20p) a week. On the last occasion James was on leave, he was to have caught the evening train at Rainford Junction to return to his barracks. However because of it being a stormy night his Mother persuaded him to stay and catch the morning train. Through being late his own company departed without him and James was ordered to join another, which was to embark for France immediately. Shortly afterwards on the 11th of April 1918, James was killed aged 19 in the Ypres area, Belgium, during the big German Spring Offensive of that year. Commemoration is at Tyne Cot, Belgium panels 93 to 94. This can be found just off the N303 near Passchedaele village. In a letter to Mr Irlam his old headmaster and choirmaster dated 14th December 1917. James expressed his disappointment at not being home for Christmas to be able to sing anthems with the choir at Bickerstaffe Church. Lived at 14 Rainford Road, Bickerstaffe. He volunteered in January 1915 and served on the Western Front. After recovering from wounds on a previous occasion, he was killed in action on the 14th April 1918. He is buried in plot 3, row E, grave 5, of Bailleul Communal Cemetery Extension, France. This can be found on the East Side of Bailleul, not far from the town centre, 8Km. South of Poperinghe. Son of Robert and Alice Birchall of Bickerstaffe. On the 28th August 1918, Robert died from wounds received in the action in France, after, “being involved in much fighting”. Quote from the Ormskirk Advertiser. He was reported to have received a severe gunshot wound in the leg and died at a field dressing station, two years from the date of enlistment. Prior to joining up, he worked on the farm of his grandmother, Mrs Cook of Catherines Farm, Catherines Lane, Bickerstaffe. Robert is interred at Daours Communal Extension, France. Plot 7, row A, grave 34. He was 31 years old. Daours is 6Km. East of Amiens on the banks of the Somme River. The cemetery is on the left at the start of the D115 northwards out of Daours. Came up to Bickerstaffe to be a gamekeeper for Lord Derby. For the previous six months he had been a ‘keeper’ on the King’s Sandringham estate at Norfolk. Whilst living in Bickerstaffe he met and married Miss Edith Rothwell from Barrow Nook before going to serve his King and Country, having enlisted in November 1915. 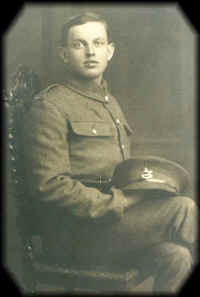 Sergeant Mitchell was killed by a sniper on 31st August 1918 and according to his commanding officer suffered no pain. In a letter to Mrs Mitchell, the officer stated that her husband had sterling qualities and was a soldier in the truest sense of the word. He is interred in plot 1, row B, grave 17, of H.A.C. Cemetery, Ecoust-St Mein, France. This can be found about 5Km. North East, out of Bapaume, on the D956 (left hand side). Was married on the 22nd May 1915 to Martha Ann Edwards who worked at the Anchorage, across the road from the church. They had two children, John and Patty. He was very well known throughout the area being the ‘Bickerstaffe Postman,’ a job that he held for 15 years. John left for service on the Western Front sailing from Liverpool, which was unusual, and was wounded and gassed soon after. He returned to convalesce in the military hospital at Brighton where his wife and whole family visited him, but unfortunately he died shortly afterwards on the 19th September 1918, aged 32. He was given the first full military honours funeral at Bickerstaffe Parish Church. Grave S 5 K8. His young son John laid the first ever wreath on the Bickerstaffe War Memorial. John is also commemorated on the brass plaque in the Ormskirk Post Office. 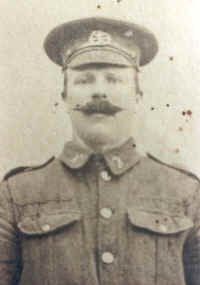 He was the son of William and Ann Houghton and husband of Amelia Taylor of 63, Clayton Street Skelmersdale. John and Amelia were married on 21st July 1917 and had one child, who was named after her Mum. John was killed on 1st. 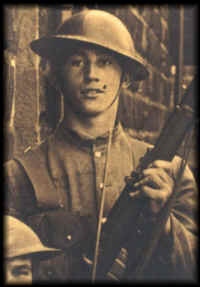 October 1918 at the age of 20. At the time the Germans were in full retreat with only six weeks to go before the armistice was signed. He is commemorated on panel 3 of the Vis-en-Artois memoral, France. This can be found on the D939, eight Km. South East of Arras. Vis-en-Artois. One of the most handsome memorials, it commemorates nearly 22,000 British and 16 South Africans lost during the final allied advance. Born 13th May 1895. He lived at Ivy House Farm, Bickerstaffe, son of Rachel and the late Edmund Coxhead. At the time of enlistment, he worked for his mother on the farm, which was mainly arable but included some livestock. John was killed on 4th November 1918, just seven days before the war ended. He was involved in the crossing of the Sambre Canal, 1,000 yards North of Ors, in France in the last days of the German retreat. 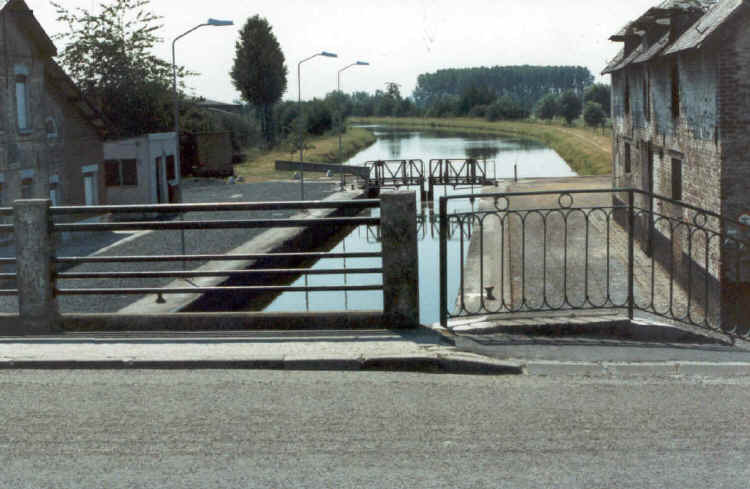 In the face of severe enemy machine gun fire from the east bank, his regiment eventually secured a bridge made from cork rafts wired together but losses were high. Two posthumous VC’s were won in the same action. Second Lieutenant James Kirk and acting Lieutenant Colonel Marshall. The famous poet Wilfred Owen also fought alongside John Vincent and together with sixty other ranks, are buried in Ors Communal Cemetery, France. 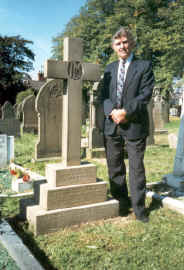 John Vincent is buried in Row C, Grave 4. The scene today is just as described in Jon Stollworthys biography of Wilfred Owen: small irregular fields leading down to a deep ditch then fifteen yards beyond is the Ors canal. The difference being that all is peaceful now! Ors lies 31 Km. East South East of Cambria down the road marked N43, then 2Km. North on the D160. Born the son of Joseph and Ellen Peet of no. 2 White Moss Road. 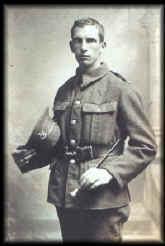 He died from wounds on 18th February 1919, this was three months after Armistice Day at the age of 21. Mr J. Turner Curate from Skelmersdale officiated at his funeral at Bickerstaffe Church on the 22nd February 1919. Grave S 5 K 2. 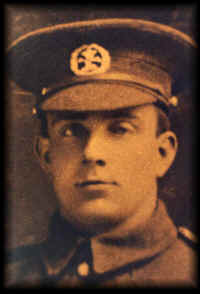 Son of William and Ellen Hesketh of Bickerstaffe was a territorial when he volunteered into the 14th King’s Liverpool Regiment, at the start of the Great War. He was posted to Salonica for two years as a transport driver, carrying ammunition and provisions to the front line by horse and limber, (a type of two-wheeled cart). James later served in France, where after receiving wounds, returned to work at Stanley Gate Farm for two years. However he contracted Pneumonia and died in Stanley Hospital, Liverpool on the 6th October 1920 aged 28 years. A subsequent post-mortem revealed a minute fragment of shrapnel in his lung. He is interred in Bickerstaffe Church Yard. Grave S 5 M 2. Later transferred to 38514 Labour Corps. Lived at number two Coach Road, Barrow Nook, Bickerstaffe, until the death of his parents William and Ruth Fyles. He then moved next door at the age of sixteen, to live with the Shaw family. William Harold worked at Rainford Colliery in the lamp shop, until he volunteered and was drafted into the Cheshire Regiment. Whilst serving on the Western Front he was gassed and shell-shocked and returned to Whittingham Hospital, North of Preston where he survived until 1921. He died on the 19th of April, at the age of 23. He is interred in Bickerstaffe Church Yard. Grave S 5 N 8. Edward was already in the army at the outbreak of the Second World War. He was in the 1st Battalion, of the Manchester Regiment. He was serving in Egypt when the order came to move to Singapore. Soon after, he was captured by the Japanese when that city fell. He was forced to work on the Thailand railway at Songkhla in appalling conditions. Badly treated and underfed, Edward Richard succumbed to beriberi and died on the 7th June 1943 aged 25. Only ten out of the original 600 strong Regiment survived. He is interred at Thanbyuzayat War Cemetery, Burma. Plot B3, Row P, Grave 10. Son of Thomas and Elizabeth Moss of Lords Row, Skelmersdale Road, Bickerstaffe. 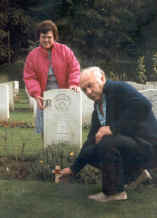 A Commonwealth War Graves Commission Inspector photographed his grave at Thanbyuzayat Cemetery in 1992. Both village (pronounced ‘Tunboozyat’) and cemetery lie about 40 miles south of Moulmein in southern Burma. In 1942 the Japanese, needing improved links to maintain their then victorious army in Burma, decided to complete the railway connecting Moulmein with Bangkok. It had been begun before the 1939-1945 War but abandoned with 250 miles remaining unfinished. 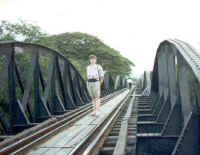 The country is mountainous, covered with malarial jungle and experiencing high temperatures and humidity, and Thanbyuzayat was the Burmese terminal of the proposed line. British, Australian, Dutch and American prisoners of war set up a base camp and hospital and started work in September 1942 and finished in December 1943. Unknown hundreds died of malnutrition, sickness, privation, ill-treatment and misery, and many were buried in the camp cemetery. Frequent Allied bombing raids also took their toll of the prisoners. Because of the severity of raids, the camp was evacuated in June 1943, and the prisoners sent to other camps on or near the railway. 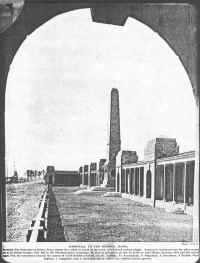 Nevertheless, Thanbyuzayat continued to be used as a reception camp for newly arrived prisoners. After the war the Army Graves Service brought in the remains of those who had been buried in the jungle or along the line and reburied them in the now expanding camp cemetery, laid out basically in its present form. It now contains 1,700 British, 1,350 Australian, and 15 Indian and 80 Malayan war dead, together with over 600 from the Netherlands. The American dead were sent home for burial. The graves are marked by bronze plaques. The Cross of Sacrifice stands where the original wooden cross set up by the prisoners stood; that cross is carefully preserved in the entrance building and has an explanatory plaque below it. Lived at Millhouse, Church Road, Bickerstaffe and was the son of John and Annie Sumner and brother to Hazel. 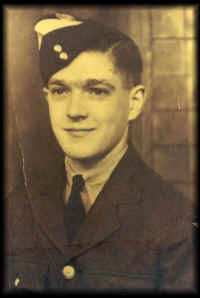 William was just over 17 when he volunteered and joined the R.A.F. He was then sent to Canada to train where he gained his wings. He was then drafted to India flying Lockheed Hudson aircraft for coastal Command, ferrying goods from Northern to Southern India. On the 22nd May 1944 he was killed in an accident, when an engine caught fire, and the plane failed to gain height. He died Monday, 22nd May 1944. Aged 21. He is buried in Madras Cemetery India, plot 6, row B, grave 13. Before the war, William was a keen sportsman and played for Everton Football Club in the number seven shirt. 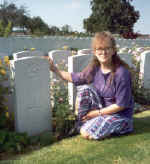 On request, a Commonwealth War Graves Commission Inspector photographed Bill’s grave in Madras Cemetery, India in the spring of 1993. In his teens Norman joined the Air Training Corps because of his love for flying. He was employed as a printer at Tillotsons of Bootle, Liverpool, involved in the design and production of chocolate boxes before joining the Royal Air Force. He was sent to Canada to complete his training. In the early hours of the morning of 13th June 1944. Norman was flight engineer on a bombing mission to Amiens in France. The D. Day forces had recently landed in Normandy and Amiens was still occupied by German forces. Norman’s mission was to prepare the way for the allied advance. His Halifax bomber mark three, no. M.X.592 had left Burn, R.A.F. base near Selby, Yorkshire loaded with sixteen 500lb bombs. The approach to Amiens was made from the South, and when over the village of Mailly Raineval the bomber was hit by enemy gunfire and exploded in mid-air, killing all seven crew members, three of whom were Australian. Only two bodies were recovered, Norman and the pilot Robert Wilden. They were buried at the village cemetery at Mailly Raineval, ten miles South East of Amiens. A year later the two were transferred to Abbeville communal cemetery extension, France by the Commonwealth War Graves Commission into plot S, row A, graves 3 and 4. This lies to the North of Amiens. 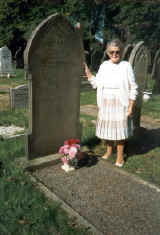 Not having met the criteria of identification, Norman’s name does not appear on the grave and is buried as an unknown R.A.F. Officer. He is commemorated on panel 228 of the R.A.F. memorial to the missing at Runnymede, Egham, in Surrey. Norman was known personally to the author and they were talking together just days before his final flight. The design of the memorial consists of a square cloister. On the far side from the entrance is a tower, reminiscent of a war-time airfield control tower, available for access and giving fine views. The cloister on this side, which is on the edge of a wooded hill and overlooks the River Thames, has two curved wings, terminating in look-outs, one facing Windsor, the other Heathrow, London’s main airport. The tower has a central arched opening above which are three stone figures sculptured by Vernon Hill, representing Justice, Victory, and Courage. The focal point for ceremonies is the Stone of Remembrance on the lawn enclosed by the cloisters, and for contemplation, a chapel in the tower. The memorial commemorates 20,000 airmen and airwomen of the Commonwealth Air Forces who, during the 1939—1945 War, died over north-western and central Europe, the British Isles, and the eastern Atlantic, while in any of the Air Forces Commands, and have no known grave. These airmen were in the following Air Forces: Royal Air Force 15,400 (including 25 from Newfoundland); Royal Canadian, 3050; Royal Australian 1400; Royal New Zealand 600; South African 17; Royal Indian seven, with others from the Women’s Auxiliary Air Force, British Overseas Airways Corporation, etc. The memorial was designed by Edward Maufe and was unveiled by Queen Elizabeth II on 17th October 1953. Later transferred to the Royal Inniskillings. He was the son of William and Marion Singleton. A letter sent to his family from his commander, stated that he was an voluntary stretcher duties, actually having rescued a comrade from a knocked out tank, when he was killed from sniper fire. 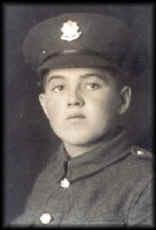 Richard died a few days before his 19th birthday on the 24th February, 1945. 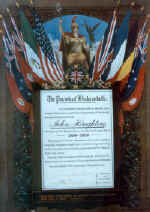 He is buried in Reichswald Cemetery, Cleves, Germany, plot 51 Row C, Grave 15. He was the brother of James, who was for many years the Bickerstaffe church organist. The large Reichswald Forest (Forst Reichswald) lies in North Rhine Westphalia, between Cleves (Kleve) and Nijmegen in nearby Netherlands. After the end of the war in Europe in May 1945, thousands of soldiers’ and airmen’s remains were brought in from burial places in western Germany. Many of the soldiers died in the hard-fought battles of the Rhineland, others in fighting in the Reichswald itself, and yet others during the crossing of the Rhine in March 1945. 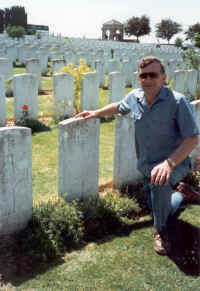 Among the soldiers’ graves is that of Major General Thomas Rennie, killed by a mortar bomb which exploded on his jeep. There are 4,000 airmen in the cemetery, most of whom died in the years of the bombing offensive and some in supporting the advance of the soldiers. They, like the soldiers, were concentrated after the war. This, as mentioned elsewhere, is the largest Commonwealth war cemetery of the 1939—1945 War if only actual buried bodies, and not cremations, are included. (If they are included, then El Alamein War Cemetery, Egypt, with 7,950, is larger). The cemetery contains 6,400 British burials, 700 Canadians (all airmen, except for one soldier — Canadian soldiers who died in the area were interred in Groesbeek Canadian War Cemetery, Netherlands) over 300 Australians, 130 New Zealand and 70 Polish—a total of over 7,600.